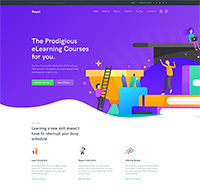 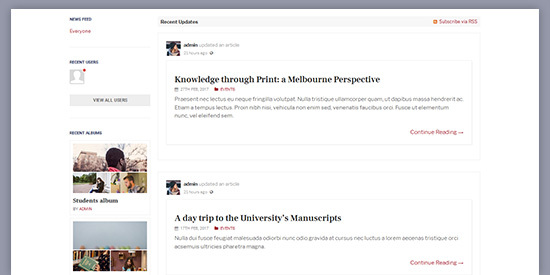 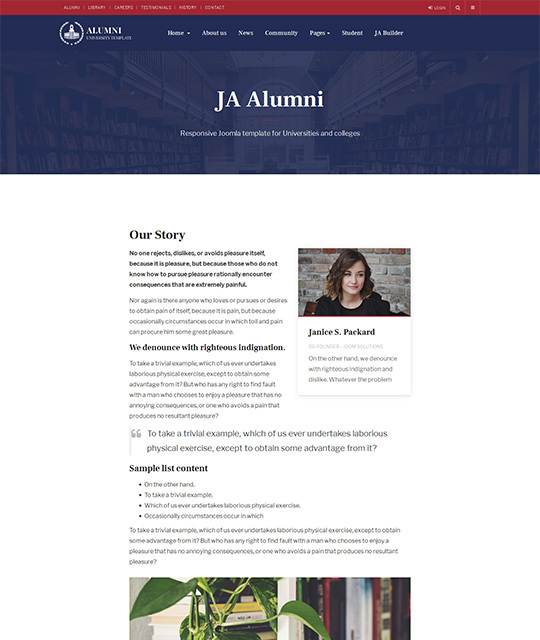 JA Alumni is built with T3 Framework, it is easy to customize based on powerful admin control panel with built-in functionalities: visual layout configuration, responsive layout configuration, megamenu builder, optimization, etc. 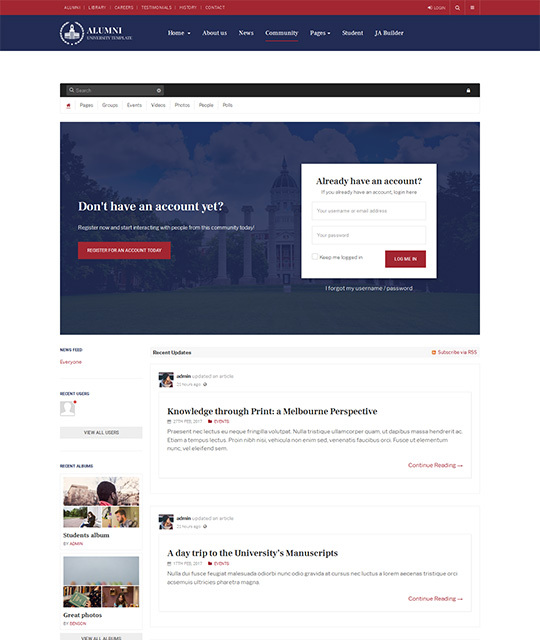 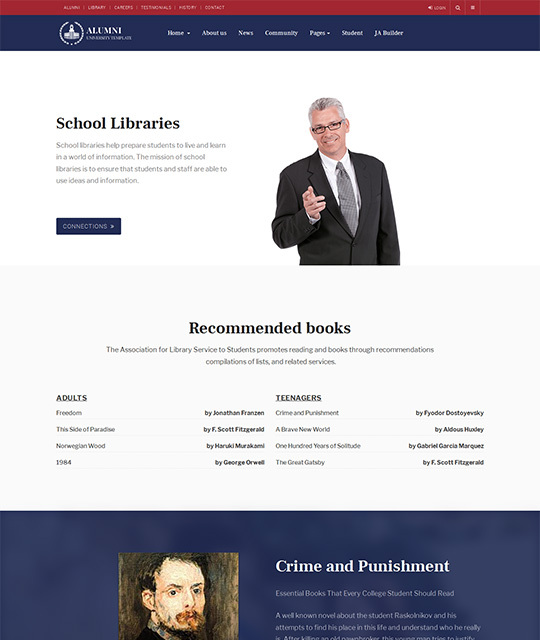 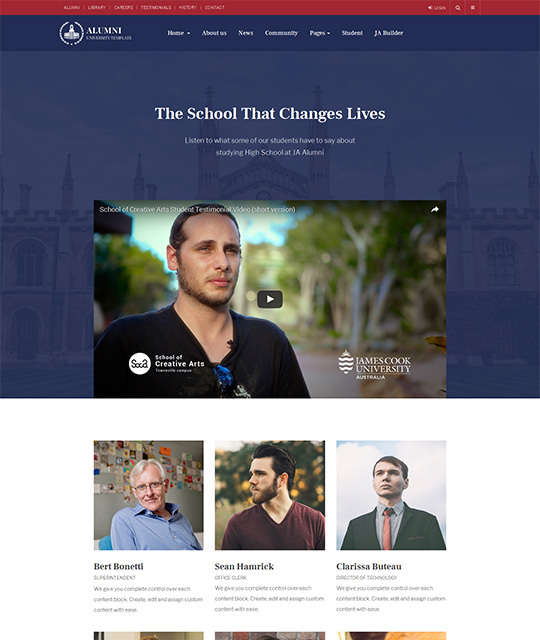 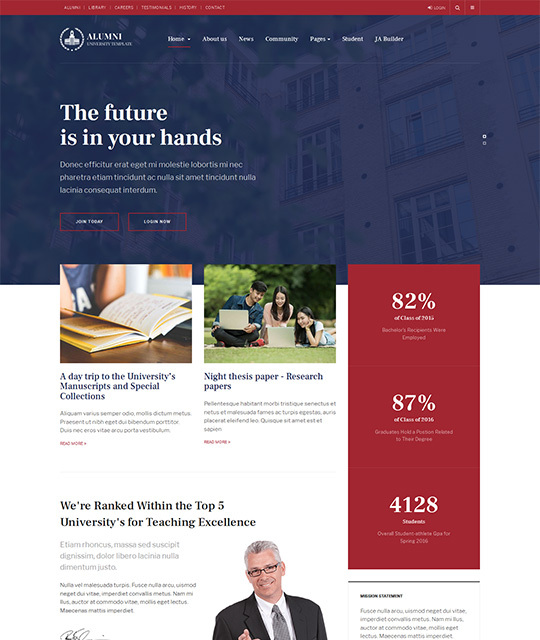 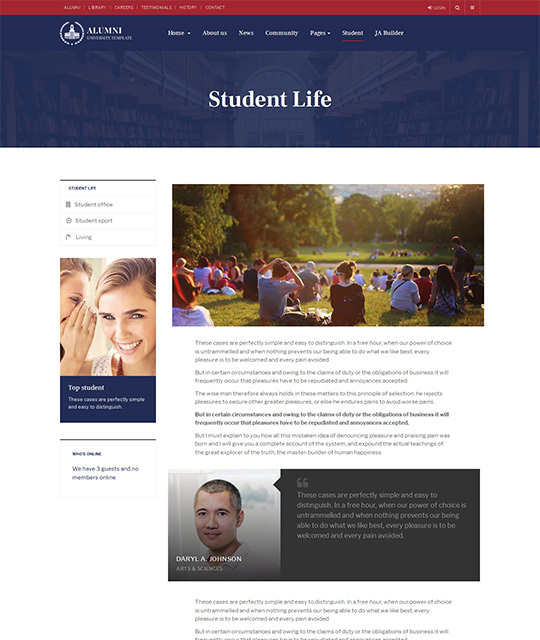 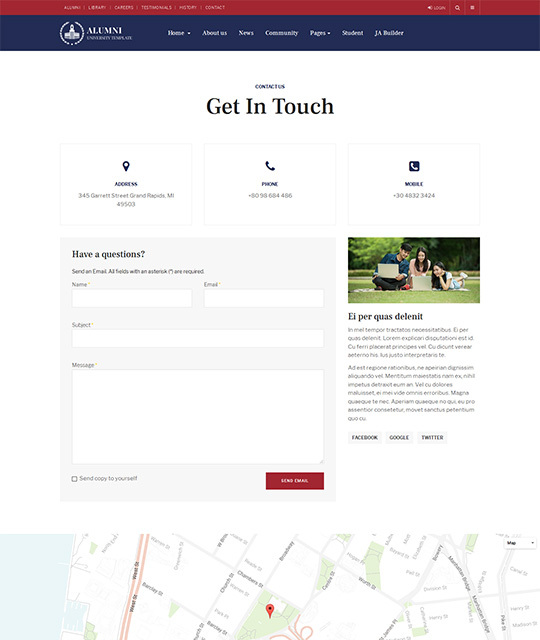 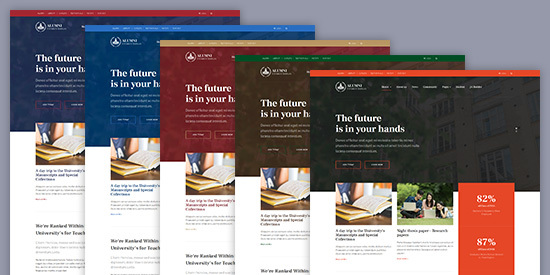 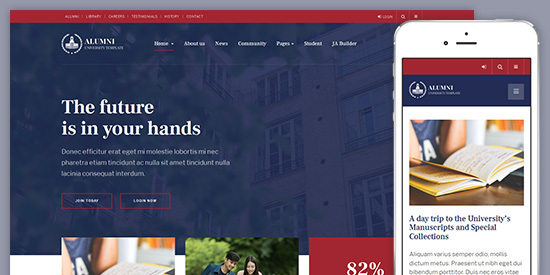 The Alumni Joomla template comes with creative design, dedicated layout and style for Alumni and univeristy website. 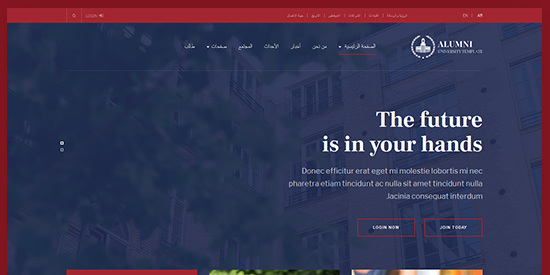 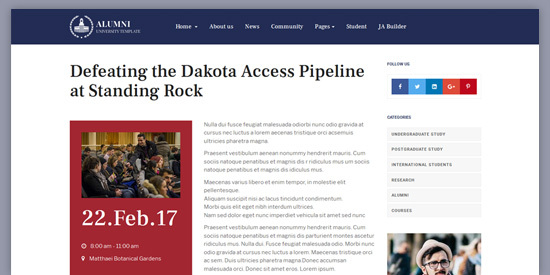 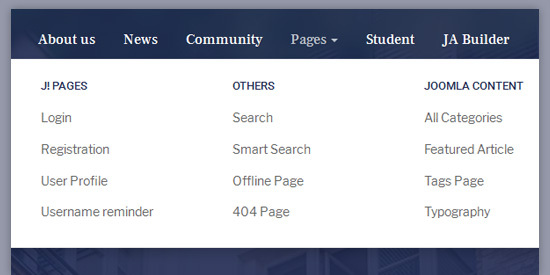 JA Alumni supports right to left layout that allows you build website in special languages: Arab, Persian, etc.